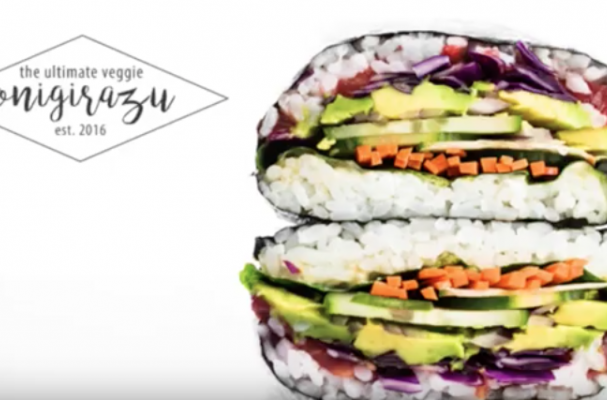 Onigirazu is the Japanese version of a sandwich. Instead of bread, rice is slathered on two sheets of nori and stacked high with vegetables. This version is strictly vegetarian but you can definitely add cooked salmon or teriyaki chicken to the mix if you wanted. Personally, I would stay away from raw fish unless you definitely can keep it refrigerated until consumption. This portable meal is great for lunches, picnics and everyday easy eating.